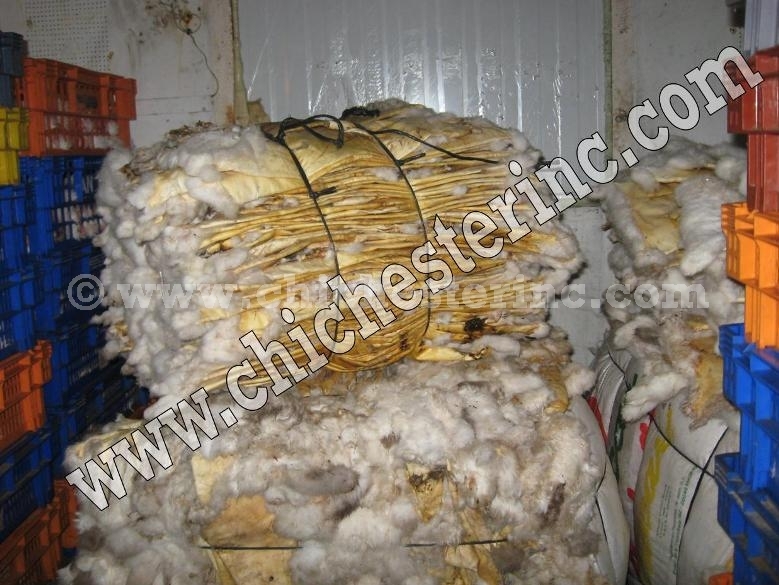 Raw Salted Rabbit Skins from Spain by the Container Load from Chichester, Inc.
We can ship container load lots of raw salted white rabbit skins from Spain. 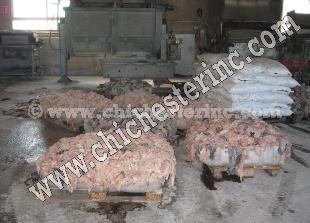 Our production is approximately 5,000,000 skins per year, 95% of which are white. 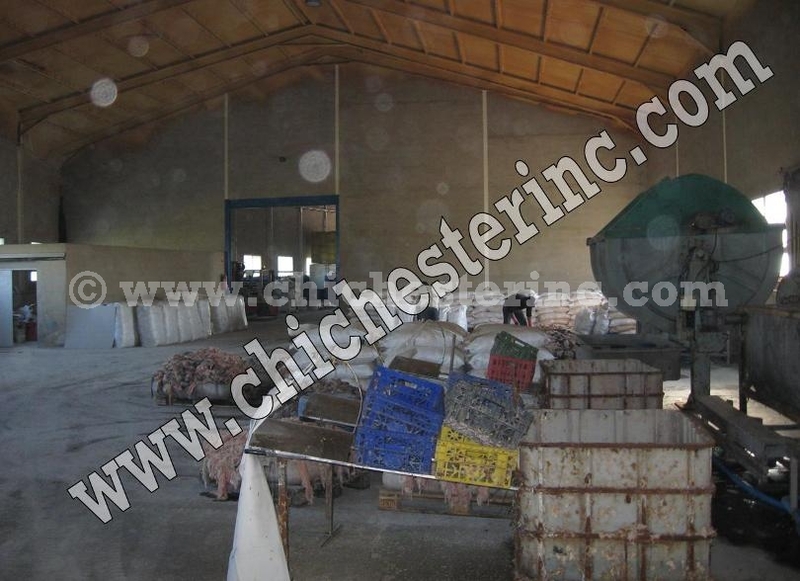 We can pack 90,000 skins per 40-foot container. 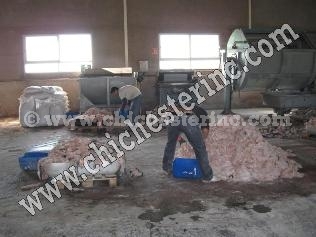 The skins are thoroughly salted and packed 200 per poly bag. The skins ship from Valencia, Spain. We can quote CIF main Chinese ocean port in euros. Most skins go to Shanghai. 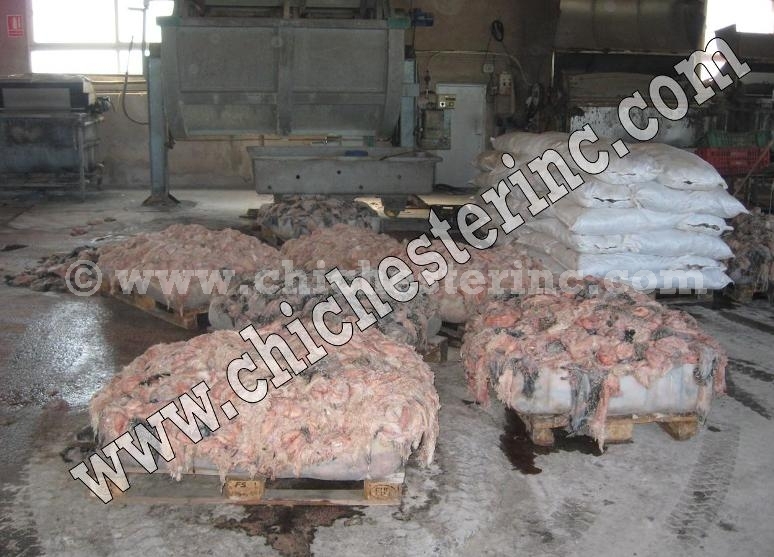 Quality skins were selling for euro 0.27 each CIF main Chinese ocean port in early May 2009 and have jumped to more than euro 0.60 each CIF main Chinese ocean port in March 2010. We are sold out for this year and will not respond to inquires until late in the year. The price fluctuates daily due to supply and demand in the market. Please call Paul Crosby in our Toronto office at +1.416.232.0376 or write to paul.crosby@chichesterinc.com for a current quote. Shipping time depends upon the state of the order book. 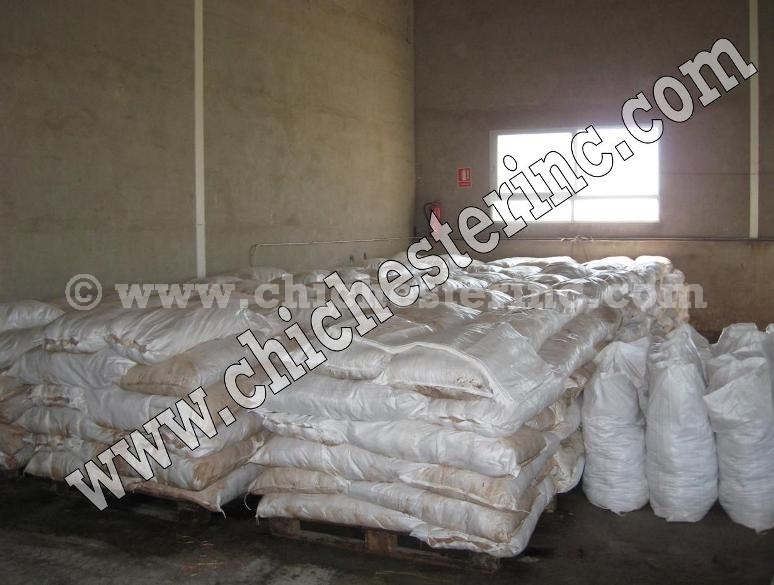 The salting and shipping operation operates year round. 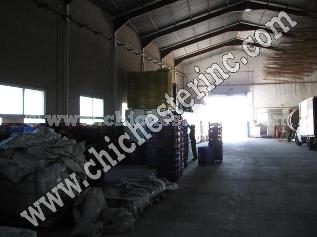 Typically, one container is shipped per week. 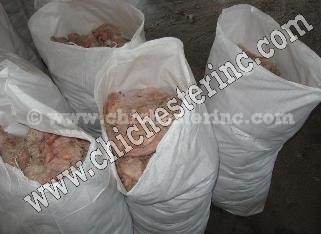 All shipments must be paid in full by wire transfer prior to shipping. The minimum order quantity is one 40-foot container. 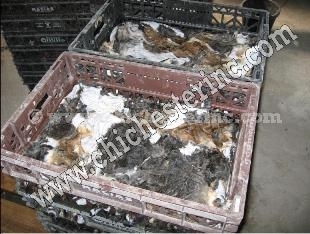 Please see our gallery below for pictures of the rabbits and salting operation. Domesticated rabbits are not an endangered species and are not subject to CITES. Raw rabbit skins come in to the tannery and are refrigerated until ready to process. Raw rabbit skins as they come from the slaughter houses. The skins have the tail on--an important feature for many Chinese customers. 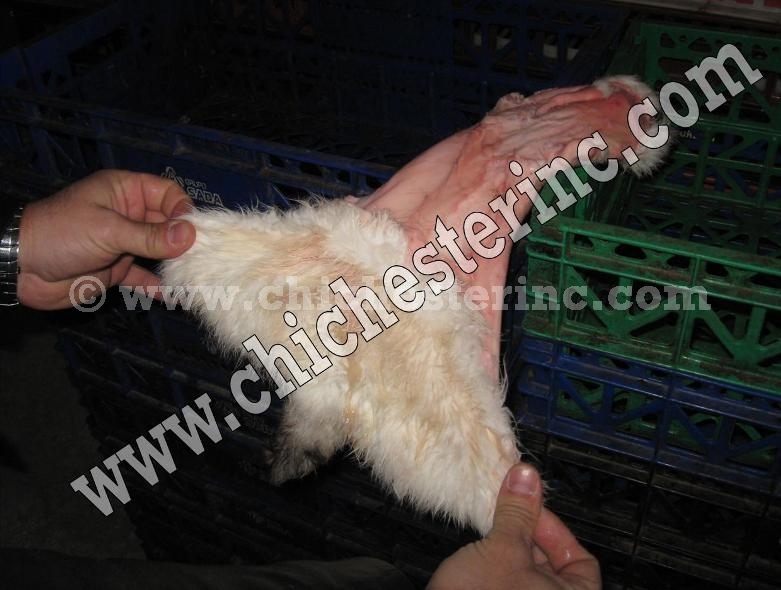 A close up of the skin shows the quality of the rabbits we offer. The skins are thoroughly salted to ensure good tanning later. Salted skins ready to pack for export. Preparing the skins for export. Air dried rabbit skins are also available. Please do not hesitate to call Paul Crosby in our Toronto office at +1.416.232.0376 or write to paul.crosby@chichesterinc.com for a current quote.